Every year the Grand Priory endeavours to arrange one national event to be a high profile fundraiser for the St Lazarus Charitable Trust and advertise the work we as an Order do to help combat leprosy and the social stigma this dreadful disease carries. 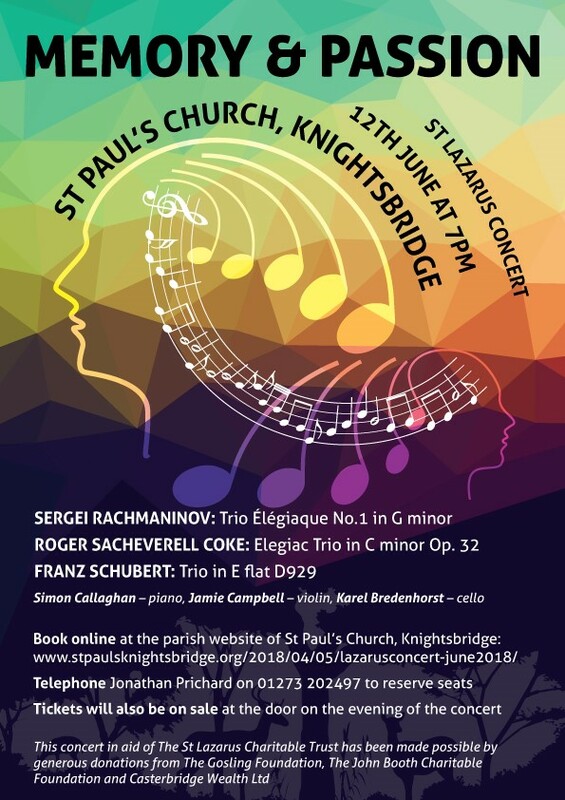 This year’s event will be a concert of Romantic chamber music at St Paul’s Church, Knightsbridge, thanks to the generosity of the Vicar, The Revd Fr Alan Gyle SChLJ. The concert will be performed by a trio of professional musicians, violin, ‘cello & piano, all of whom are distinguished and talented performers. Full details of the event can be found on the leaflet and you can book your tickets using this form.